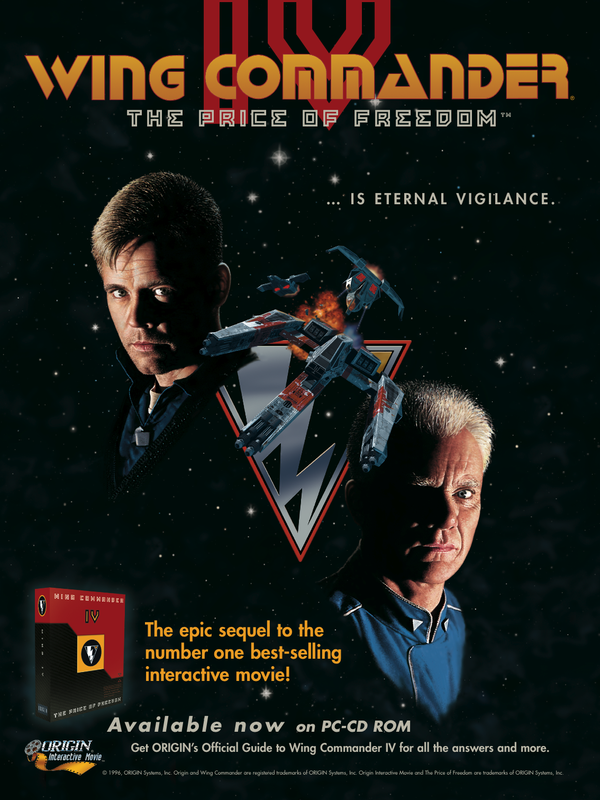 FMVStory.com, a website dedicated to classic games that featured live action cutscenes, posted a neat Wing Commander 3 preview from Edge Magazine. This one dates all the way back to August 1994 in the months leading up to The Heart of the Tiger's release. The article isn't super long and primarily introduces the concept of FMV in the pending release, but it does curiously also mention that the game will ship on two CDs. We're glad that proved to be incorrect - even the four CDs that it came on couldn't contain everything! 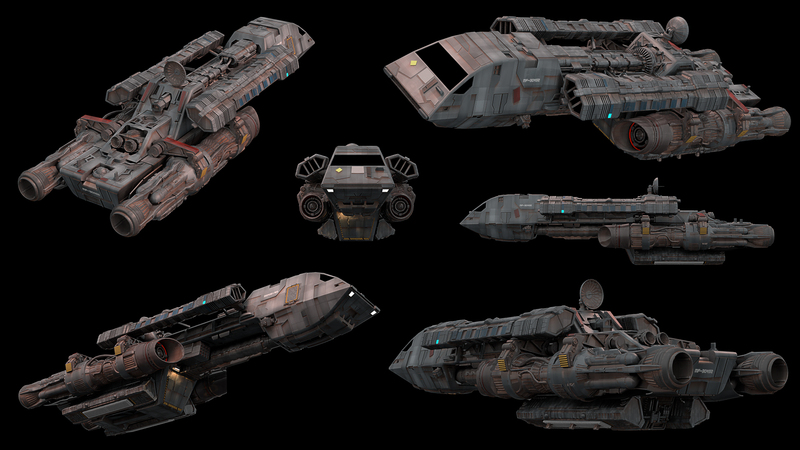 The familiar first look screenshots and early render Concordia make appearances here as well. You can find more nods to classic contemporaries of WC3 on FMVStory's Twitter. 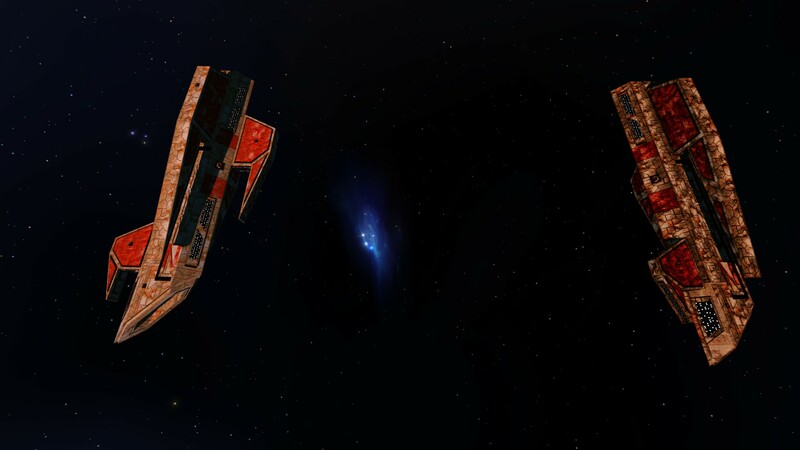 The winner for 2015 Fan Project of the Year is Wing Commander is the Homeworld Remastered Mod, also known as Flag Commander! L.I.F. 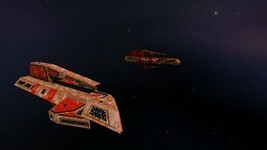 has been on fire lately beefing up and enhancing the Homeworld mod that he inherited from czacen. 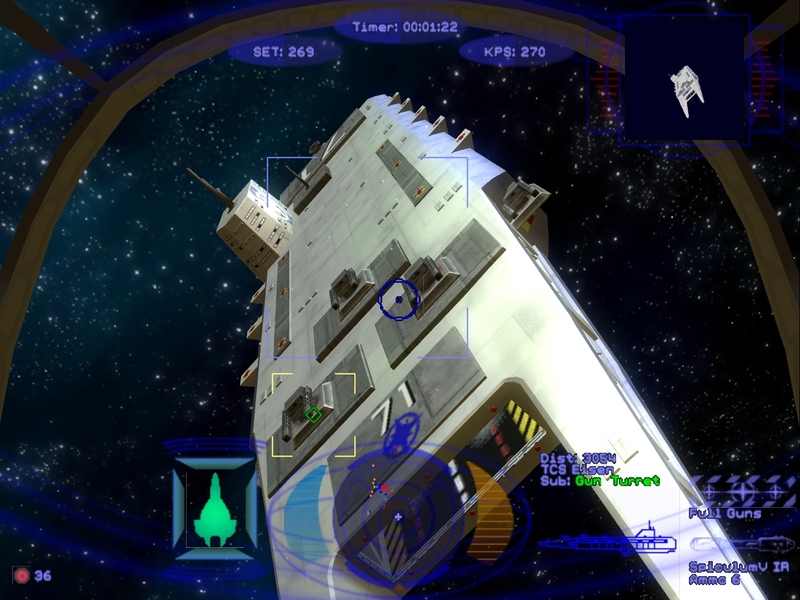 Not only has he upgraded it to be compatible with the core game's rerelease, he's completely overhauling the ship models, adding entire new factions and coming up with new game mechanics to keep things fresh. The project has also had to be nimble to contend with engine changes by the developers and has established relationships with other models to share assets. 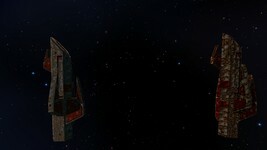 Wingnuts clearly appreciate all the work - the Homeworld mod received more votes than any other project this year. Since we had so many nominees this year, we've decided to award three different runners up for 2015. All had a very strong and very close second place showing with your votes. 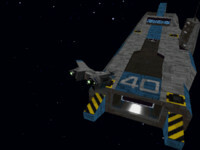 Our first runner up is Wing Commander Flat Universe. The project released a big update in the middle of the year that included significant improvements to the graphics, mission design and user interface. A really cool navigation map that directed players to missions was also rolled out. Towards the end of the year, the Maslas Brothers teased that multiplayer and other new features could be coming in 2016. 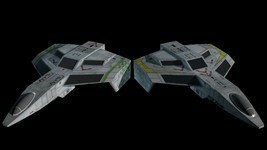 The second runner up is the Secret Ops Model Upgrade Pack. Although it just debuted in the later months of the year, it hit with a big impact. 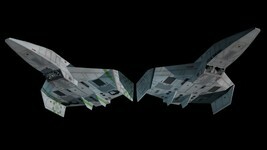 DefianceIndustries' new ship models are fantastic, and his teaming with gr1mre4per to add new features to the Vision Engine at the same time has fans very excited about what's in store. Last, but not least, Wingnuts once again voted for Klavs' Model Archive. Despite the arrival of a new baby last year, Klavs managed to find time to create new ships while supporting the incorporation of his existing designs into several other fan projects - including a couple of his fellow contest winners here! 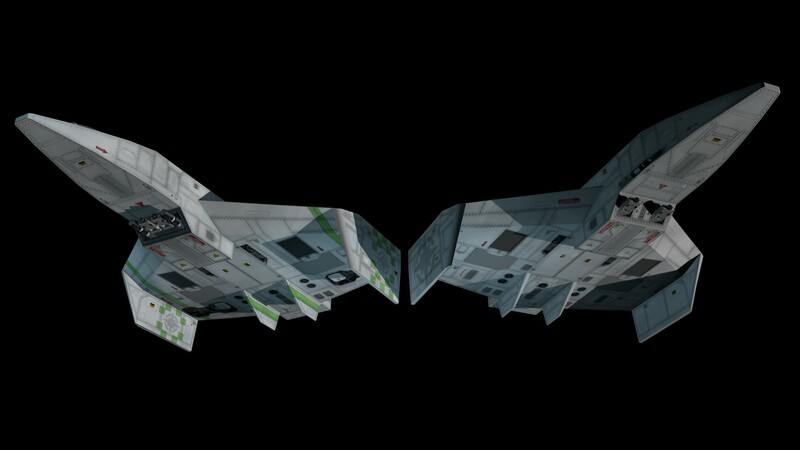 Fans also continue to use his fighters as the basis for some awesome 3D prints. Over on the website front, we have a familiar face. Daedalus Station once again took the top spot in this category. In a time when few projects even have dedicated websites anymore, Flat Universe's home on the web shines with incredible production values. It helps to be the home of a popular fan game, but the site distinguishes itself with its in-universe presentation, modern navigation features and awesome Destiny's Way magazine. Just one more to go! Our runner up in the website category is WCSaga.org. It's also the home of a well done fan project, but it also provides a critical service as one of the most active hubs for the many German Wing Commander fans out there. Luke does a great job keeping the home fires burning for this large group of Wingnuts. And that's another annual contest in the books! The slate of nominees was one of the best in memory, and all deserve the be congratulated for their hard work and dedication to the community. Thank you to all the fans who work to keep up the excitement and energy on a daily basis! 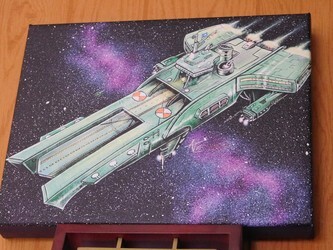 Longtime Wing Commander documentation master David Ladyman has just kicked off a new project and would appreciate support from fans of cool sci-fi board games. 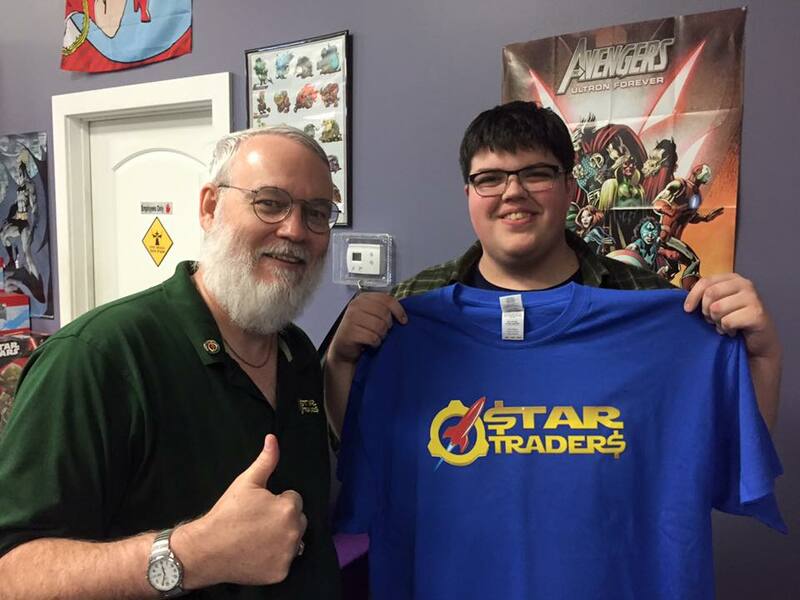 Nearly thirty years ago he created Star Traders. 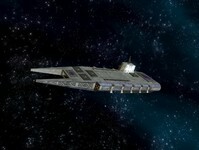 In it players compete to pick up and deliver cargo across the galaxy while managing their income and investments. Mr. Ladyman reclaimed the rights a while back, and with the help of Cloud Imperium Games artist Ryan Archer, is attempting to refresh, enhance and reproduce the game. One really nice aspect of Star Traders is that there are different complexity levels built for people who want a shorter experience or are playing with kids. 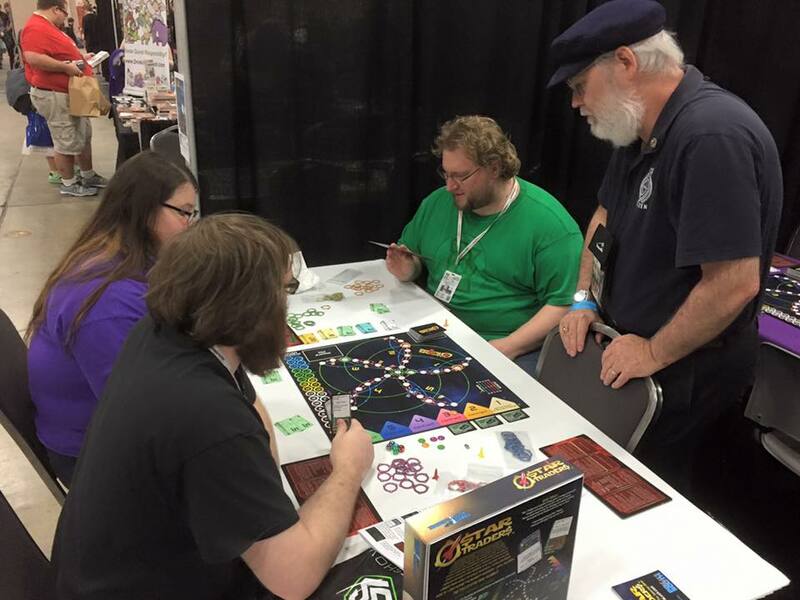 Alternately, optional rules can be engaged that extend the length to several hours for serious gamers. 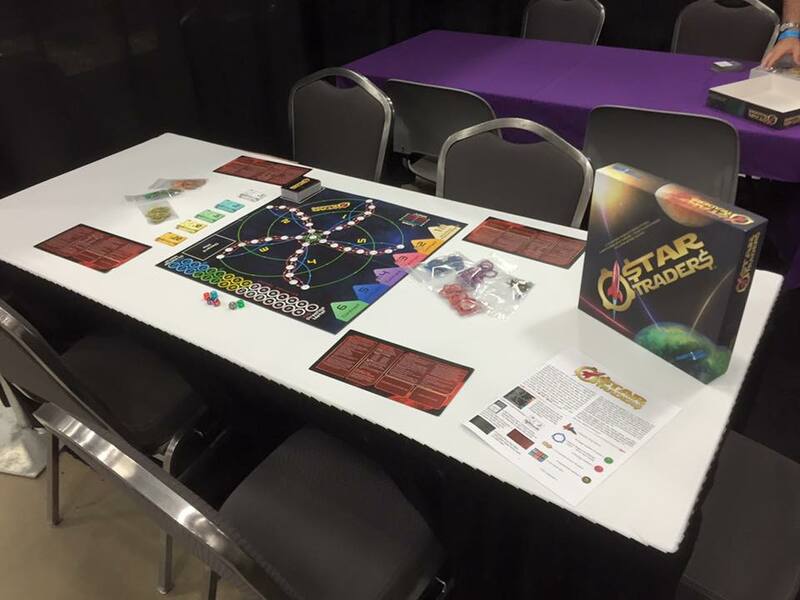 I love tabletop games and I'm a big fan of his work, so I've contributed my part to make the game a reality! As of this writing, there are about 100 "early bird" slots left where people can get a copy of the final game for $40 rather than $50. Find more info here. In honor of the campaign, LOAF has put together a list app article highlighting some of the top David Ladyman appearances in the Wing Commander series. He joined Origin in 1991 and did writing, editing and formatting work on just about every Wing Commander game from Wing Commander 2 to Prophecy and beyond - so he pops up in some pretty interesting places! Check out the post for pictures with context. As a F/A-57 Sabre heavy attack fighter pilot! In the losing mission of Special Operations 1's third series, you are sent to rescue Ghorah Khar space forces commander Colonel Marnier... and her wingman, Ladyman! As a quadrant of space! The Ladyman Quadrant is located in the Hawking Sector, on the far spinward edge of the Terran Confederation. Bonus: Ladyman is home to the David System! 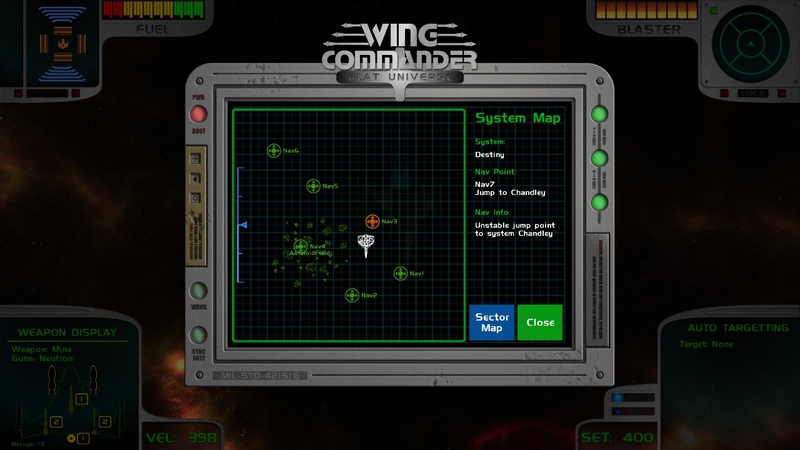 Map included with Wing Commander Prophecy. .. and again as editor of Victory Streak, onboard magazine of the TCS Victory (CV-40)! (That's August 9, 2669.) 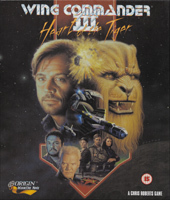 That's the manual for Wing Commander III: Heart of the Tiger. As the editor of the CDATANET, as accessed by 2nd Lt. Blair in 2654! (Along with some other familiar names!) 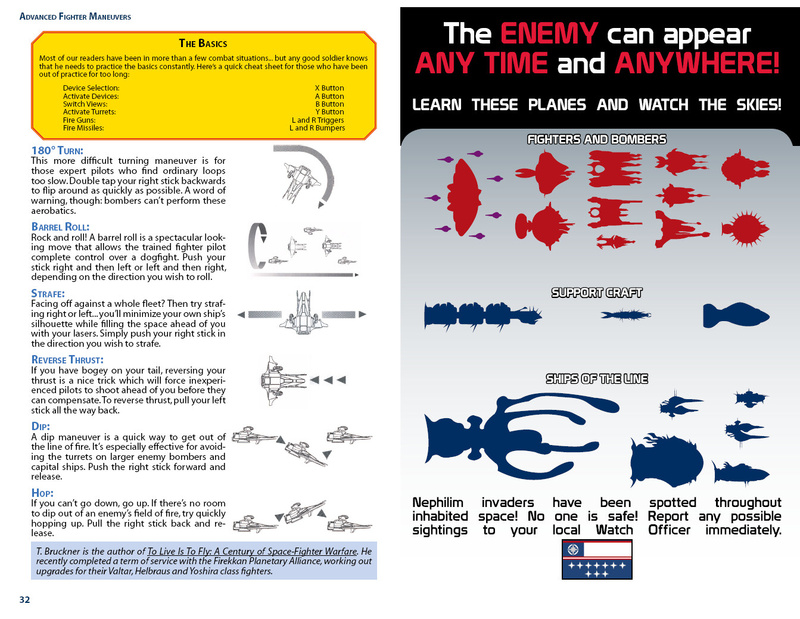 Found in the credits of the Wing Commander movie's technical manual, the Confederation Handbook. As part of The Wrecking Crew. 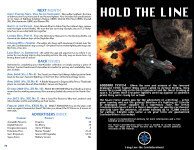 Okay, this bio from the Wing Commander Armada Playtester's Guide isn't really in-canon... but it's still pretty neat! 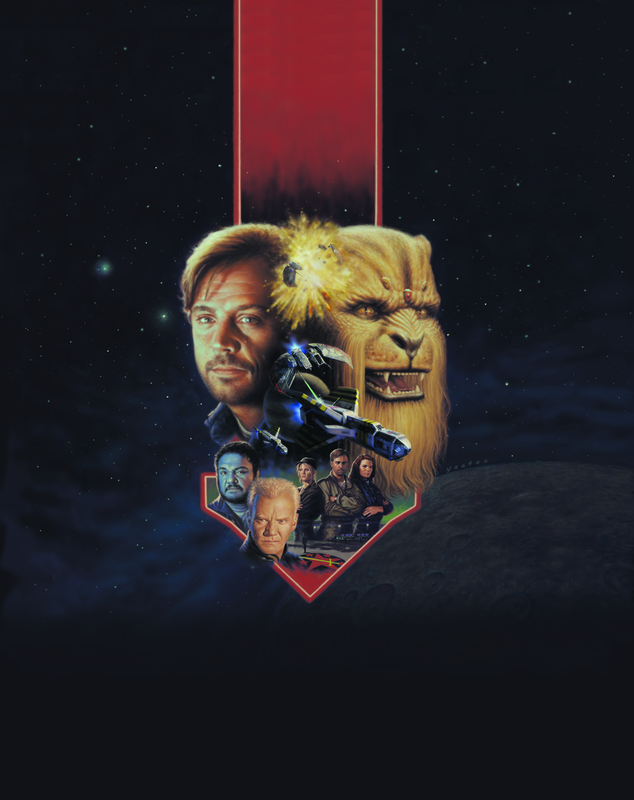 A recent poll showed that more than a quarter of CIC visitors starting coming to our website after the release of Wing Commander Arena, so we want to periodically check and make sure everyone has access to the series' most up-to-date resource. 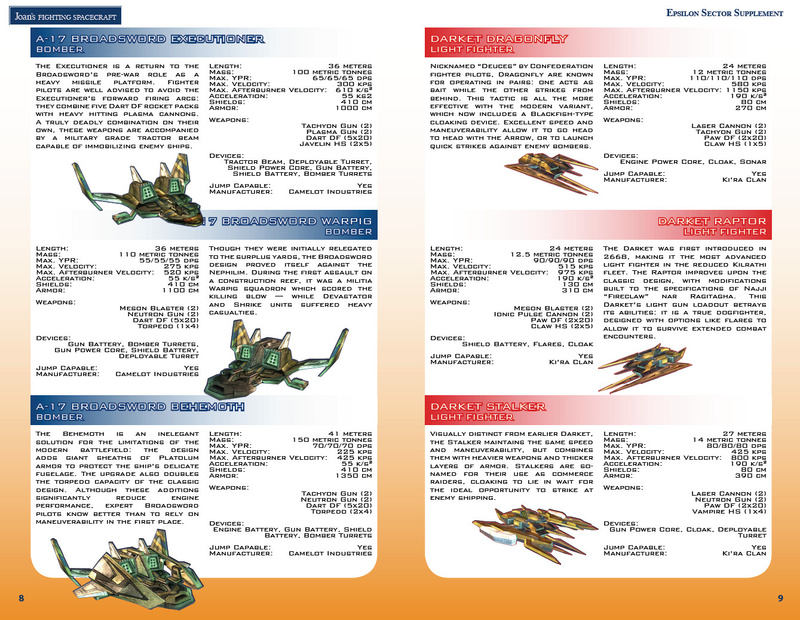 The amazing game manual for 2007's Xbox Live Arcade Wing Commander is packed full of information on the current state of the WC universe. From the perspective of the frontier in the year 2701, it tells the story of the Nephilim War, updates the historical timeline and much more. The book is a free download and absolutely everyone should have it. Grab it direct from EA right here (7.7 meg PDF)! 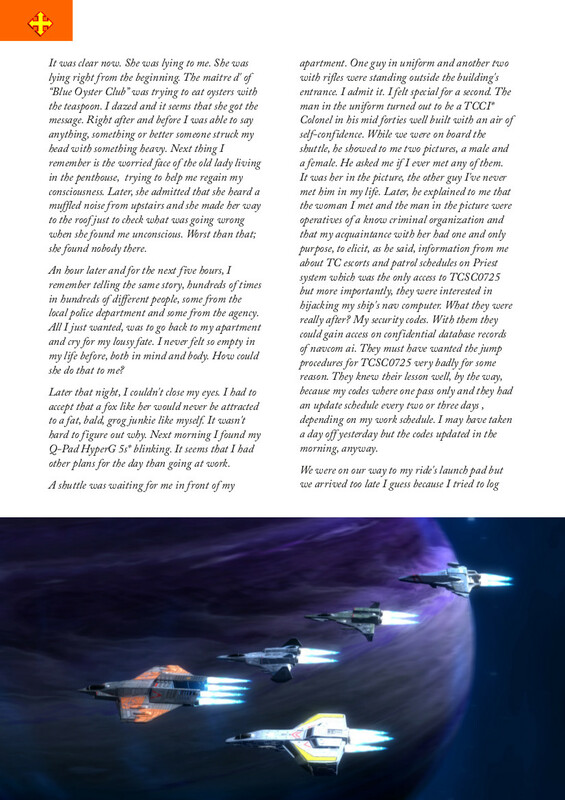 Our Star*Soldier Gloss feature also has commentary from the writers and designers for all 60+ pages. The Art of Wing Commander Arena provides a further glimpse at the game with dozens of cool concept art images. 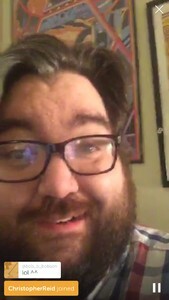 Who's Jesse Cox? I haven't heard of him either, but apparently he's a popular YouTuber that's into a wide variety of games. With over 350 million views on his gaming vids, the folks at GOG let him be the one to pick which titles get discounted in their next weekend promo. 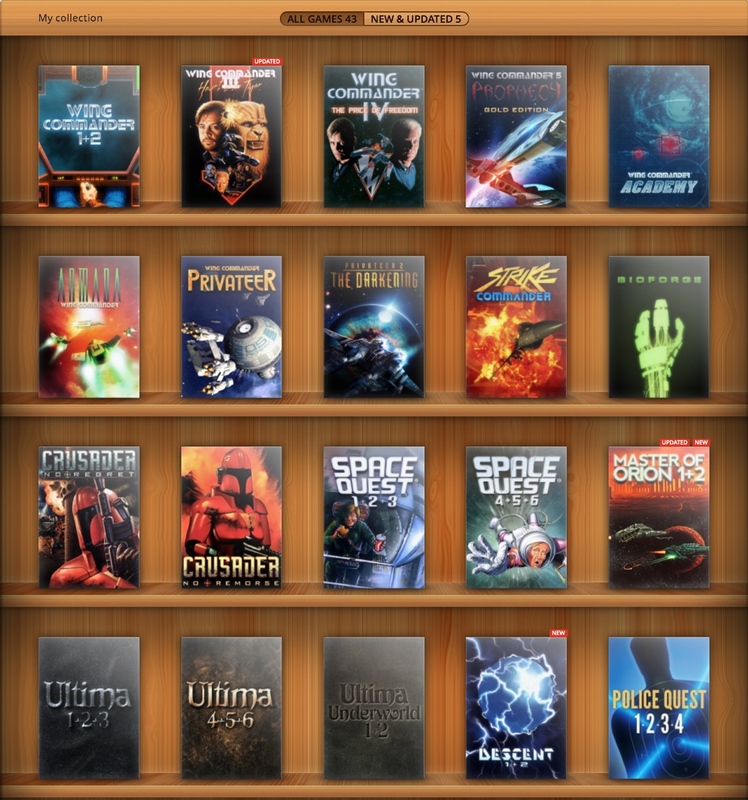 Wing Commanders 3 and 4 made the list, so they're each marked down 60% to $2.39 for the next four days. If these are still on your wish list, check out the sale here! Thanks to Whistler for the tip. Time Warner Cable has posted a commercial for their business grade internet service that was filmed at the Los Angeles headquarters for Cloud Imperium Games. The clip follows Chris Roberts around a tour of their new studio as he discusses how critical gigabit internet is to his international development effort. 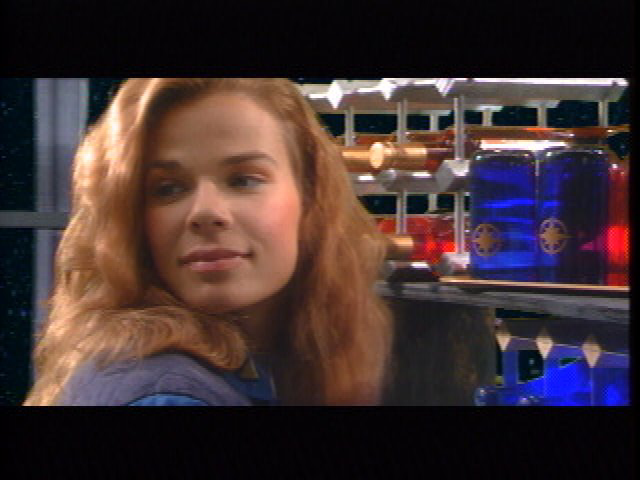 The very beginning of the video features a variety of Wing Commander merchandise spotted in Ben Lesnick's office. LOAF himself also makes a cameo about 17 seconds in. 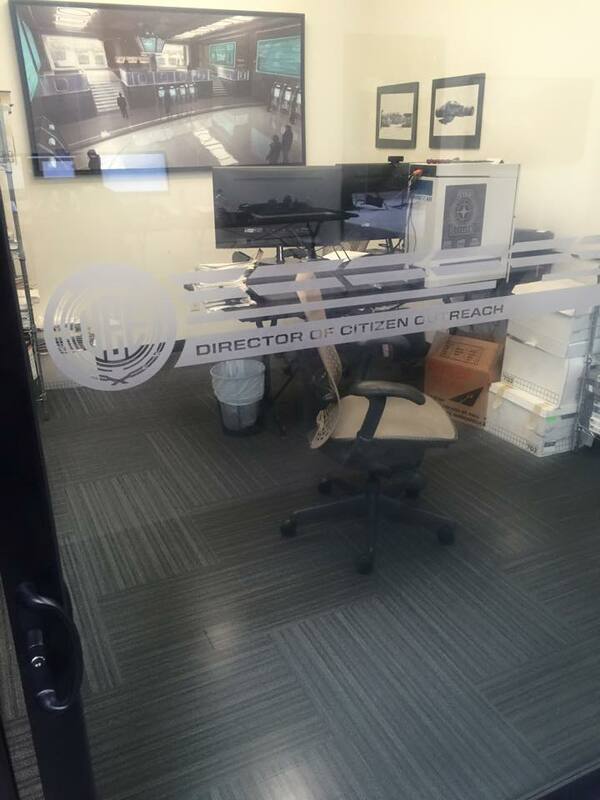 It would be easy to chalk up Mark Hamill's appearance in Squadron 42 as a favor to Chris Roberts, but Colonel Blair's digital resume continues to grow. He'll be joining another famous video game franchise when the new Master of Orion comes out in just a few days. 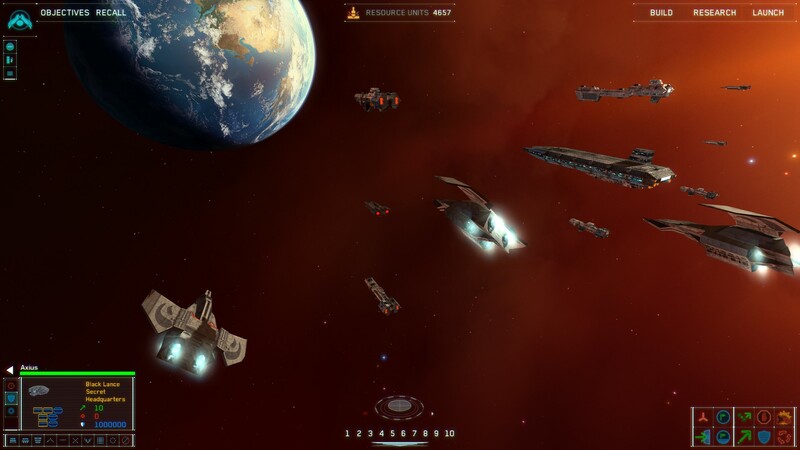 The strategy game will actually have quite a lot of sci-fi cred with Michael Dorn, John De Lancie and Dwight Schultz from Star Trek as well as Alan Tudyk from Firefly / Star Wars Rogue One all playing various roles. There are also several Origin vets involved in the new MOO's production. Later on this year Mr. Hamill will also be voice acting in Lego Marvel’s Avengers, and all of this is on top several times playing The Joker in various recent Batman games and animations. 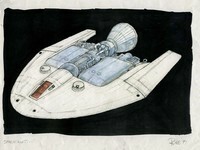 And of course, he's doing something involving a Star Wars film too. Explorers! Master of Orion has assembled a star-studded cast of acting talent who have leant their voices to the game’s galactic inhabitants. In this video, you can discover which names from the world of science-fiction, horror and video games are behind the eclectic races. Hamill: "Off on another galactic adventure.And what a star-studded cast! I'm the only one I've never heard of." Since its release in late November, the German edition of WC Saga has seen a steady stream of updates. This week's revision brings the game up to version 1.0.4. 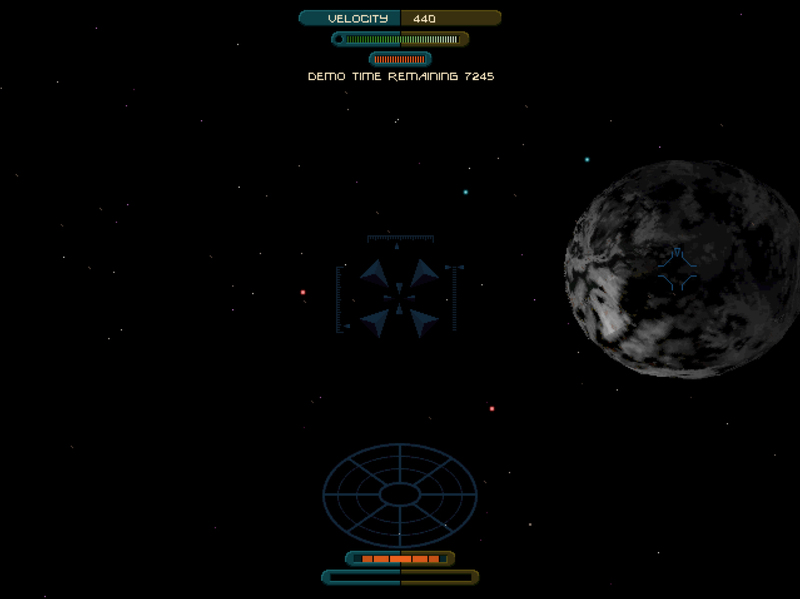 Various fixes so far have improved how debris and vessels are scanned, tweaked the weapon fire rates, fixed some of the mission dialogue and adjusted the interface to work better at different resolutions. The fiction viewer has also been improved with a variety of usability and text visibility revisions, and support for third party mods has also been enhanced. German speaking players can read more about the updates here and grab the new files here. The English version is available here. Today we're looking at a little known file that was released 19 years ago today. The demo for Privateer 2: The Darkening actually has a somewhat shrouded past. Even though it was released in early 1997, Origin only arranged distribution for a limited number of magazine cover discs and not on its own FTP server, so relatively few people are familiar with it. Unlike the Prophecy demo and other preview releases, there also wasn't much in the way of new story to see here, so there wasn't a big reason for players at the time to hunt it down. Fortunately, Wing Commander fans save everything, and it exists now in our archives. 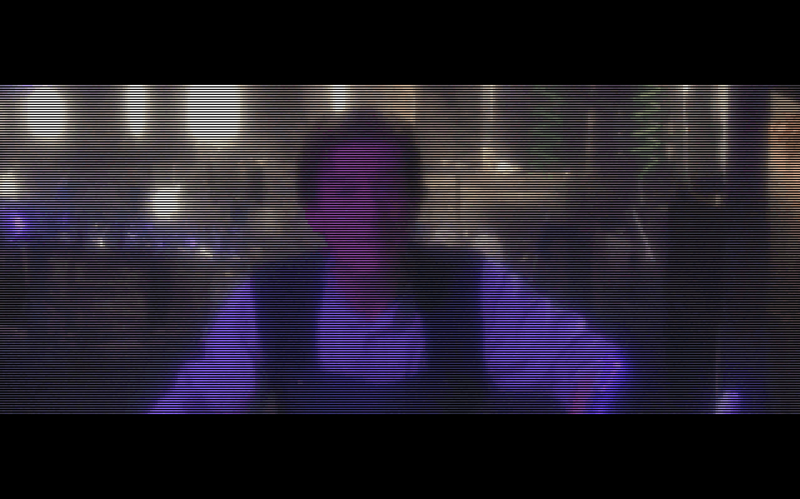 There are two new clips with Joe the Bartender, and there's a special time limiter counting down the available free play time in the Tri-System. 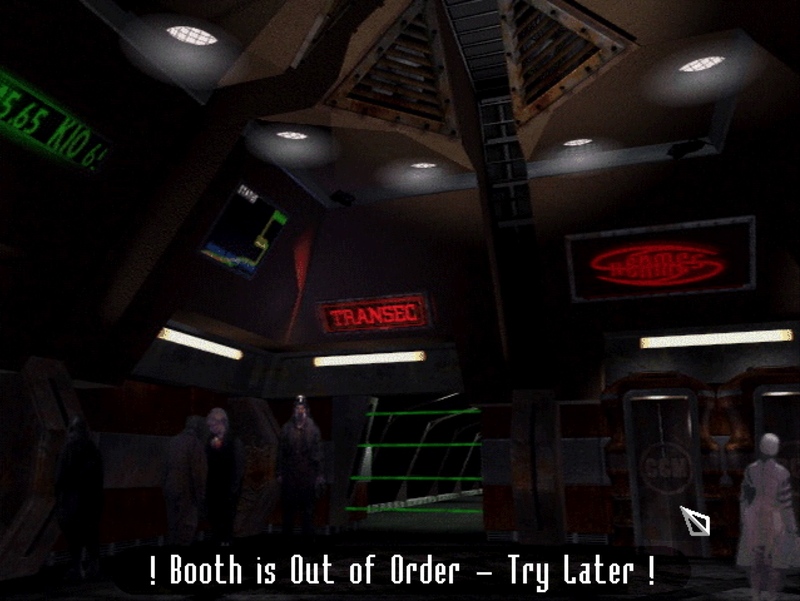 The Booth is disabled, so options are limited, but emails go come through with emergent missions. For P2 fans, it exists as a pretty interesting artifact, and for Wingnuts who never played the game, now's your chance for a taste! Grab the zip here (53 megs). 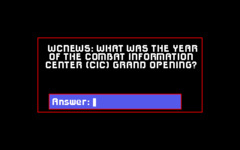 It installs and runs in DOSBox. If you get a memory error, create a separate empty directory and install there. 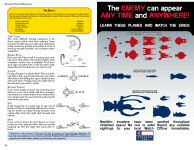 Check out the background section for controls and other reference material. It's not exactly a new joke, but now you can wear it with pride. AP Stephens created the design below, and fans can pick one up for themselves at TeePublic. 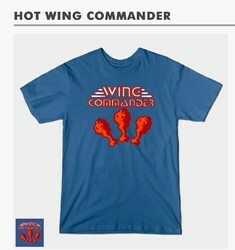 The shirt comes in thirteen colors as well as tank top, sweatshirt and hoodie variants. It's appropriate attire for any restaurant from Hooters to Buffalo Wild Wings, and if anyone gets the reference, give them a high five! Mild, Hot, or Ghost Pepper, you're the commander of all things buffalo-flavored. 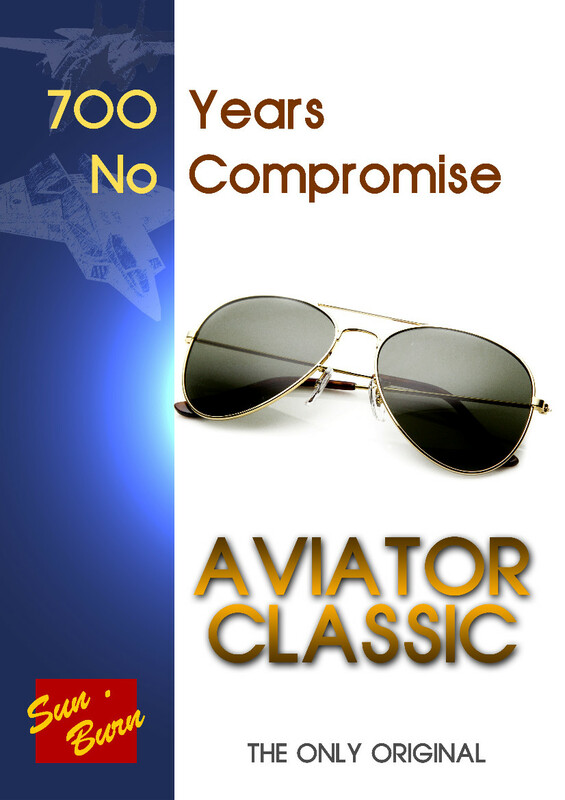 If you've been anxious for a virtual afternoon with the world's biggest Wing Commander fan, this is your lucky weekend! Bandit (LOAF) will be online in a variety of venues over the next couple days. Head on over to the CIG Community Twitch streaming account beginning at 1 pm Pacific Time Saturday for movies & commentary. He'll also be interviewed by the Big Box PC Game Collectors group on Sunday at 11 am Pacific Time. Links to their Google Hangout session should be posted to their Facebook Group Page and then archived on YouTube later. Last, but not least, follow him on Twitter for a chance at spontaneous Periscope live streams in the future! NinjaLA has taken one of his awesome sketches to the next level. He's printed his slick Tiger's Claw drawing on a professional canvas spread. These made-to-order works of art are a great way to make your photos or creations really pop, and the result here is beautiful. This one clocks in at 11 by 14 inches so it'll look great mounted on Ninja's wall! 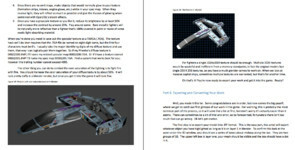 Last year we reported on General Taggart's Playroom's video that showed the awesome evolution from Wing Commander 1 to 3. It turns out he's actually made a whole series of WC clips that profiles each of the main games in the series. 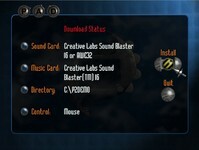 There are also bonus clips for Strike Commander as well as unboxing the premiere edition of WC3. The author is a Finnish gamer, and the WC1/2 clip was his very first Youtube review in English. We applaud the effort involved here! 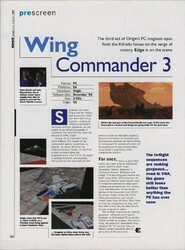 Wing Commander was his first PC game, and clearly it made a lasting impression. Screenshots from the Secret Ops Model Upgrade Pack, which utilizes Prophecy Unlimited technology. Despite all of the usual distractions that come along with the holiday season, capi has bounced back quickly in order to continue making progress on his WC RPG. 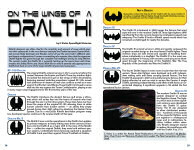 A lot of the recent work has surrounding dialogue and text for his Kilrathi module's prologue. 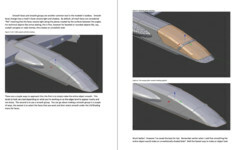 He's also been building deck plans for several ships and "encounter maps" to show how special events will unfold. 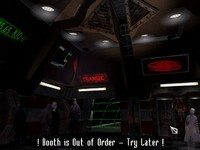 An example of a crazy engine room scenario is seen here. 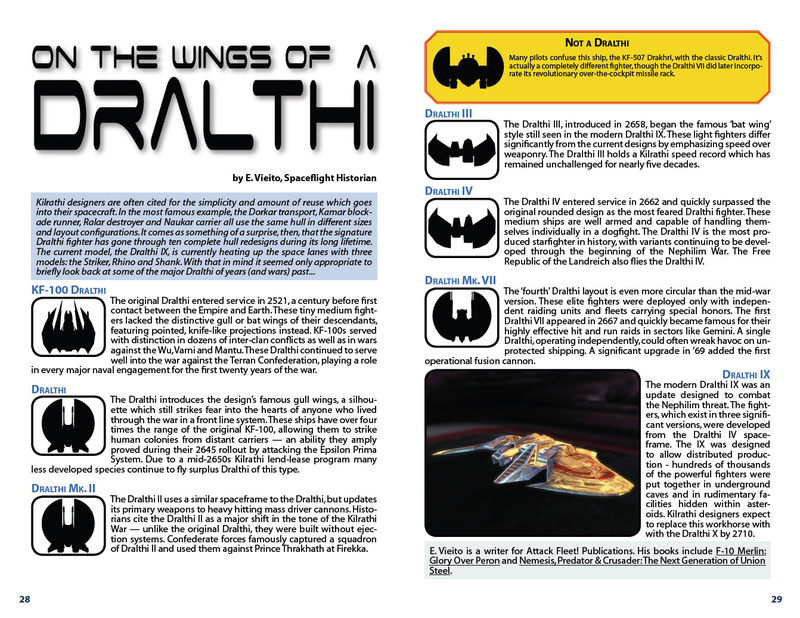 Lastly, his take on the Kilrathi language has been updated slightly to consider some recently revealed bonus material from the WC Movie. My great trudge through Chapter 2.1 of the Elegy campaign continues, though this past week I feel like I actually made some progress. 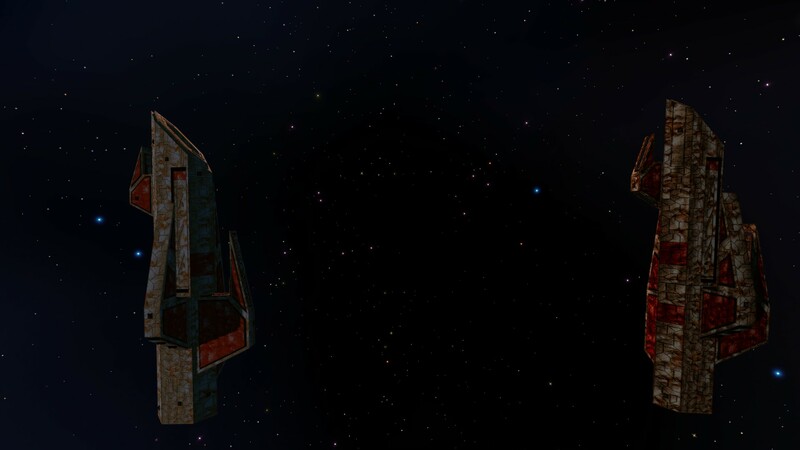 On Monday, I was able to finish up the text of the Setup and Results sections of the Engine Room encounter, and began work on the Setup of the Elevator encounter, work which continued on Tuesday though it didn't see a terrible amount of progress then. I found myself in need of a quick re-read of a section of False Colors, specifically the part where Bondarevsky and company board the picket Wexarragh, are fighting their way towards the ship's bridge and meet resistance. Work continued with a relatively full day on Thursday, where I worked on the Setup section of the Bridge encounter and completed the Results section of that same encounter. Some work also took place on the dialogue of the mission epilogue on that day, and I also took some time to do a little bit of translation work. Finally, I completed the results section of the final encounter in the chapter on Friday. DefianceIndustries has posted an extensive guide to help aspiring modders who are interesting in customizing Prophecy or Secret Ops. Wingnuts still have to be willing to stretch and be creative, but the document sets them on the right path by starting with an introduction to the various tools and how to work with different files. Then it moves into more complex subjects like hard points, collision spheres and texturing. Take a look for yourself here. Here is the first tutorial for modding Vision with a vanilla install. I know it's kind of putting the cart before the horse a bit (since I still don't have a complete update pack) but I wanted to write it while it was still fresh in my head. Anyway I thought I could contribute to everyone's light after dinner reading. This is a reminder that voting for the CIC's Website & Fan Project of the Year awards is currently ongoing. A complete rundown of the nominees and what made them stand out in 2015 can be found in the original post here. 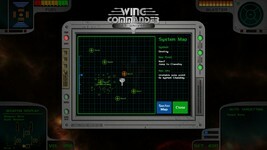 Happy Birthday Wing Commander IV! 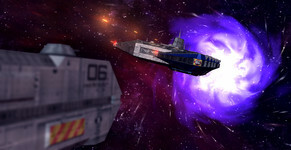 There's been lots of excitement lately surrounding the Wing Commander franchise's recent 25 year anniversary, but such an extensive series has no shortage of milestones. Wing Commander 4 was released twenty years ago today. 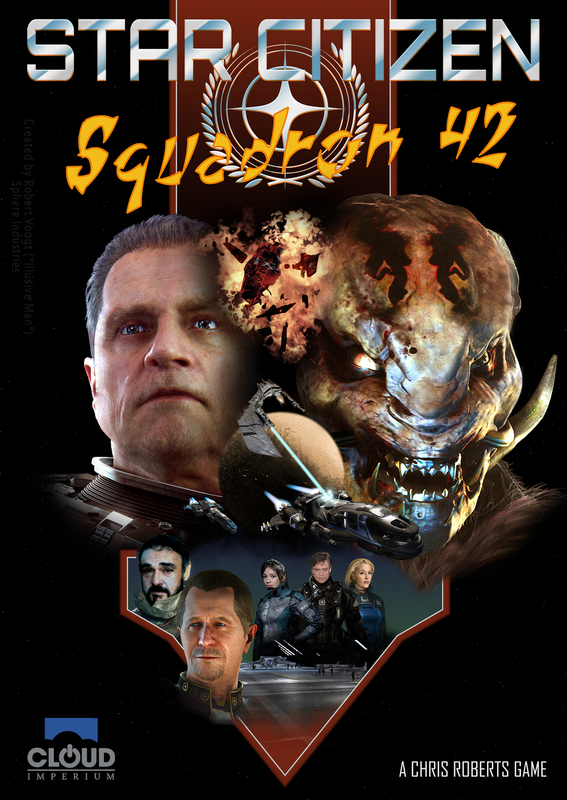 This anniversary carries a lot of weight as one of the very first that was played out online with a sizable audience of Wing Commander fans. 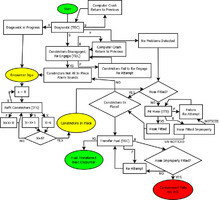 WC3 arrived in 1994 before very many Wingnuts had internet access, but this began to change in 1995 as network connections proliferated in schools and lucky folks started to get their own dialup modems. 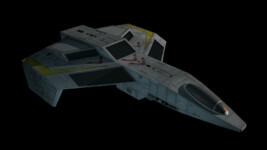 As The Heart of the Tiger's sequel approached, preview material began to pop up on the world wide web, and for the first time, a critical mass of fans excitedly connected on web based message boards (including Origin's Official WC Chat Zone), in IRC channels like #Wing-Commander, at Keyword: Origin on AOL and in the alt.games.wing-commander Usenet newsgroup. 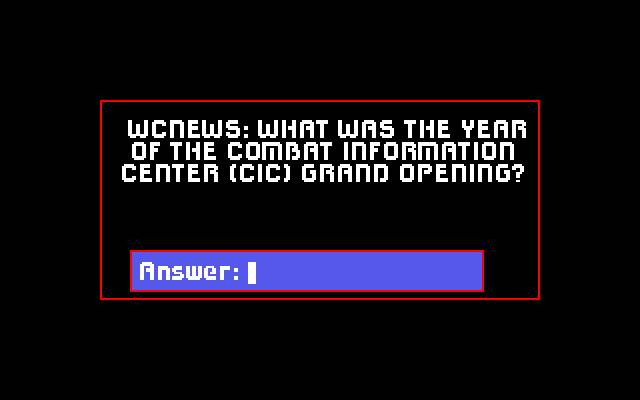 Most of the CIC staff got their start in the Wing Commander community during this exciting year, so it also marks twenty years of friendship and great memories for us. It seems like just yesterday that LOAF penned his very eloquent look back on the game's 10th birthday, and it's hard to believe a whole second decade has now passed. He's already nailed the history, but there have been a few exciting developments since then! Perhaps the most significant recent event is the release of WC4 on GOG in April of 2012. For the first time, the enhanced video DVD edition was readily available at an affordable price. 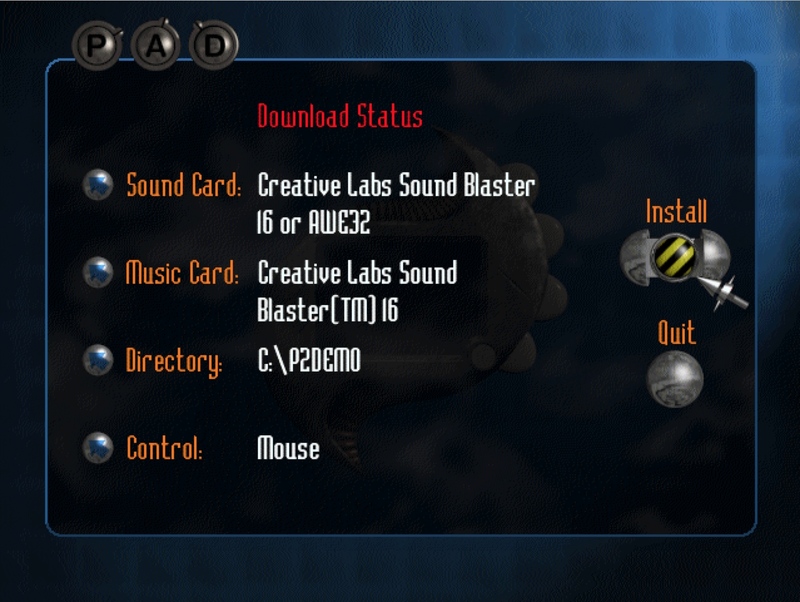 It was initially released in October of 1997 as part of exclusive bundle with the Creative Labs DXR decoder card, which many people didn't even know existed. Eventually fans developed workarounds that eliminated the hardware requirements, but players were still limited to copies of the game that came from this pricey bundle - by then only available on eBay. Suddenly with the GOG release, and for just six bucks, anyone could have access to the game running smoothly on modern systems. It even came with a digital copy of the Official Guide among other bonuses. Another cool six dollar milestone was the release of WC4 on the Playstation Network Store. This made the console port available to an even wider audience. 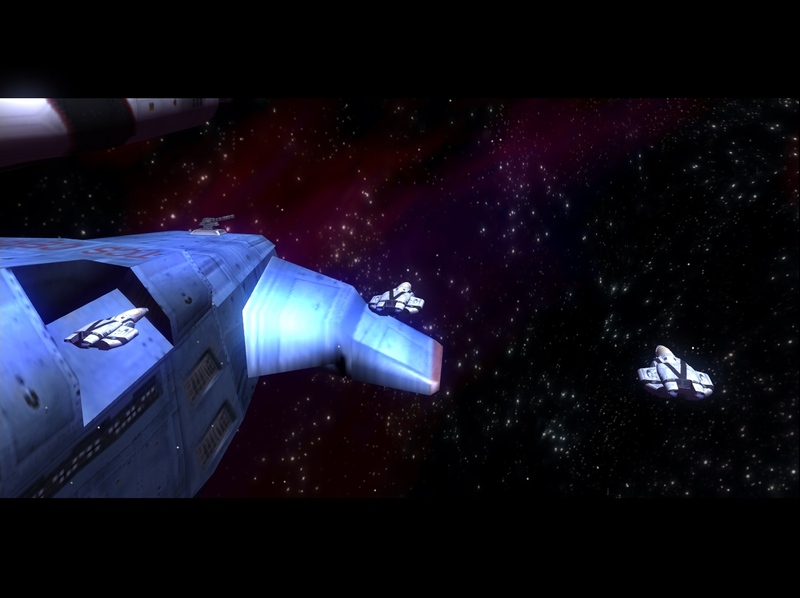 PlayerAttack has published a retro review of Wing Commander 3. Rather than someone newly exposed to the franchise through the digital rereleases, the author here starts by talking about his excitement the first time he saw the game in the early '90s. This energy shines through the remainder of the review. It's just fun to read about other people having fun with the WC series! He discusses what made the FMV sequences in The Heart of the Tiger work better than other releases at the time, and there are comparisons to today's circumstances for context. Since there are 21-year old kids alive today that were born after the release of WC3, it's good that articles like this are still being written to paint the picture for them! Check out the full article here. This game BRIMS with personality. 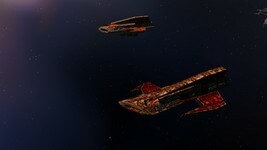 Each cohort you fly with has a unique attitude that is affected by your actions in-game. High morale usually translates to them flying better for you, whereas low morale will impact their performance. The AI does leave a lot to be desired however. More than once my wingman flew into a missile I’d locked onto an opposing ship and exploded. I wouldn’t have minded so much if it weren’t for the fact I was court marshalled when I landed. I was, however, grateful that they survived. Each character is unique and nuanced enough that you’re going to fall in love with them all, for different reasons. 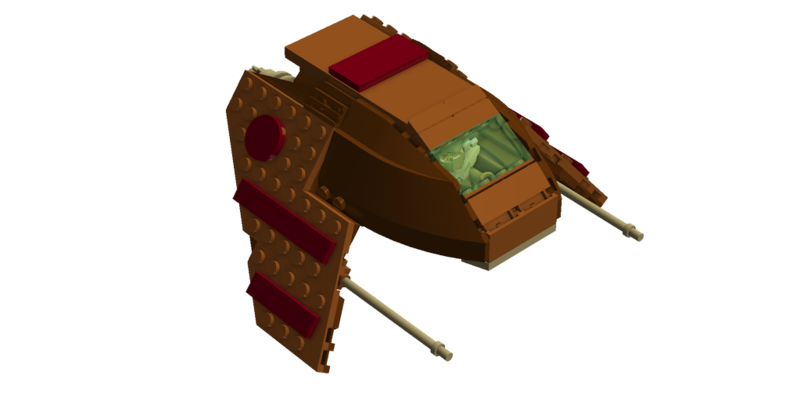 Voidshaper has taken a stab at another Lego Wing Commander ships, and the results are really good! His earlier Dralthi was pretty spot on, and now the flying pancake has a lighter sibling to play with. 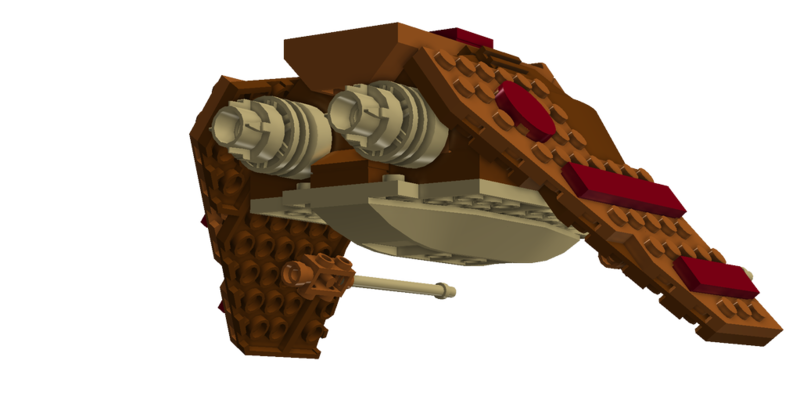 It's pretty impressive how closely the shape can mimic the original given the limited brick options! 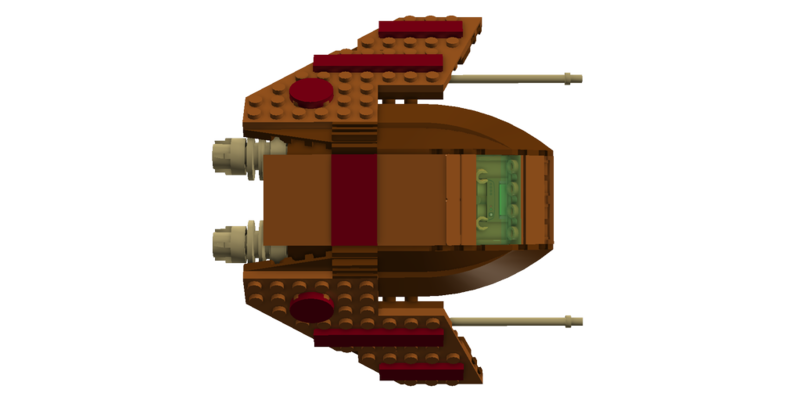 It's also pretty cool to compare the design to Death Angel's Lego Commander ships to see two different designers' approaches to this. 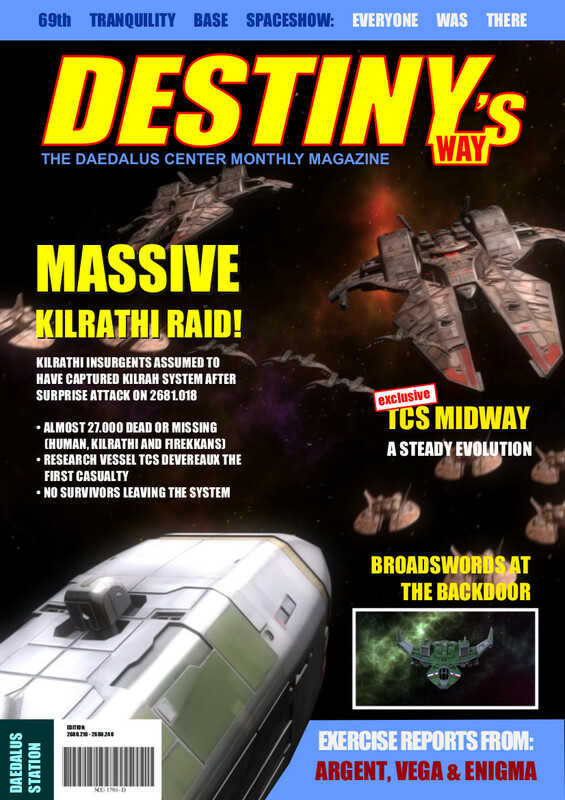 The Maslas Brothers have released the first issue of Destiny's Way for 2016! It features a lengthy article about exploration on the frontier and plenty of easter eggs. 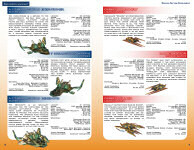 Grab the full 8-page PDF here (4 megs) and stay tuned for more from the Flat Universe team soon. The first issue of D'sW for the year 2016 is out. As usual you may grab your copy with the usual methods or read it directly from the Flat Universe homepage. 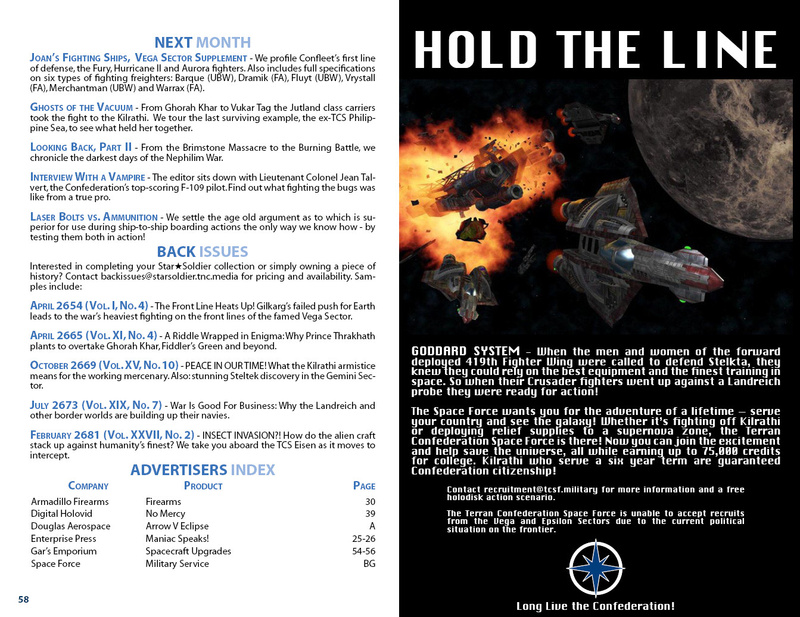 This one is a unique, since it contains a special cover page with screens coming directly from our game engine and a short, short story instead of an article. In the meantime, the MaslasBros studio is almost finished. In other words! Hold your appetite because there are lot more and funnier things to come. DefianceIndustries has put together a really nice Hellcat, and it comes in two varieties! 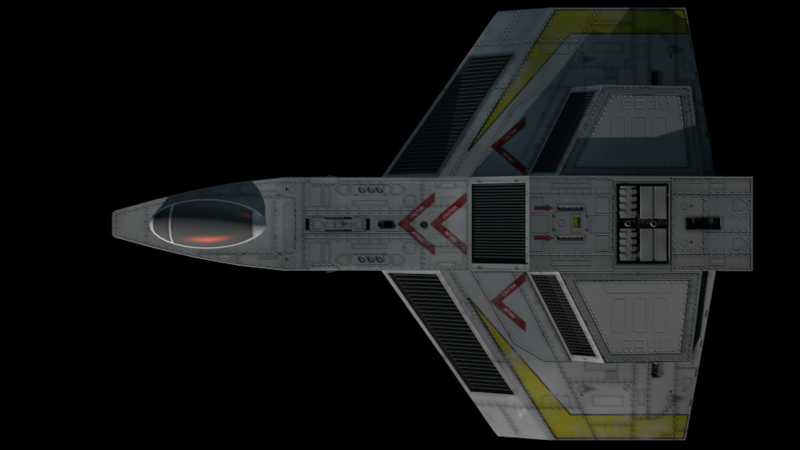 In the shift from Wing Commander 3 to 4, the workhorse fighter didn't just get slightly different color highlights. The earlier variant has four clear underslung guns in the same mount. Fans got a sneak peek of this one in last month's Banshee wallpaper. 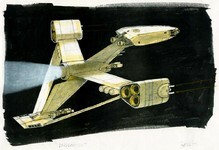 The version we see later has moved two of the weapons to the side of the fuselage. Do you have a favorite? They did a very nice job making the WC4 Hellcat look vastly different than its WC3 counterpart. 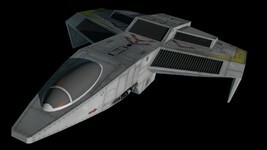 It's likely a different model than its predecessor, since it has particle cannons in place of the lasers (neutrons? ), but the lazy way would be to just recolor the texture and call it a day, they moved the particle guns out of the chin mount and embedded them in the fuselage. 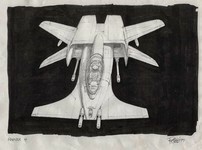 Really, I think the Hellcat is probably my favorite fighter of the WC3/4 Era with the Excalibur a close second aesthetically speaking. Yes the Excal mops the floor with anything Human or Kat, but the Hellcat just looks like a fighter. I dunno, anyway enjoy! We've got a new poll up that takes a slightly different turn than usual. 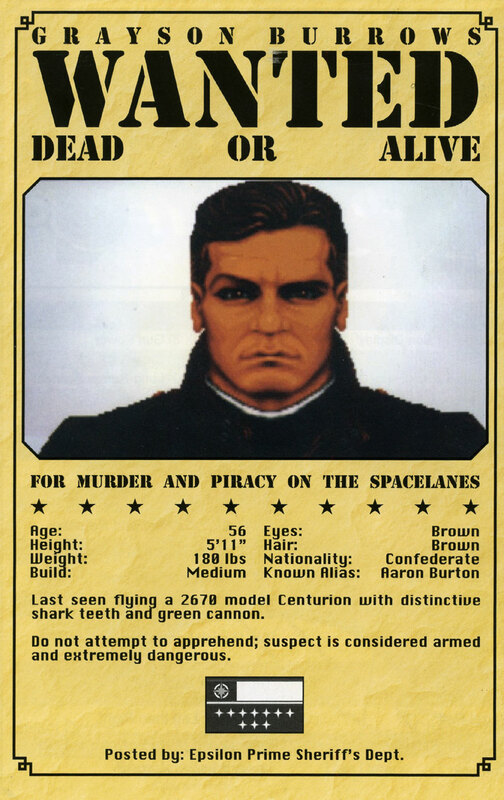 Rather than asking what your favorite thing is, we're posing a question that asks if you could be a pilot besides Christopher Blair in the regular Wing Commander series, who would that be? To narrow down the options, we've selected a slate of eight pilots well known for their aggressiveness in the cockpit. However, each one falls somewhere different on the personality spectrum. Who would you identify with most? Our annual New Years poll once again surveyed fans' outlook for the year ahead. Overall about half of Wingnuts are pretty optimistic with the other half unsure or unexcited about what's in store. If you have any doubt, be sure to check out our 2015 Review. While we don't know exactly what's coming our way, history has shown that there are always plenty of fun surprises. And don't forget that 2016 is a leap year, which means 366 days of Wing Commander news! Good Old Games is having a unique EA Completionist sale this weekend. While individual games are 60% off, if you opt to buy all of the EA titles missing from your library, the discount jumps to a whopping 85%. The GOG catalog is up to 42 different titles from Electronic Arts, but because the discount is so high, the full slate is $41.43 - less than $1 per game! So while the deal does involve buying quite a few other games, this is the most discounted we've ever seen the Wing Commander series. The WC portion would amount to $7.12 By comparison, the full price of the WC series is $47.92 if no discounts are computed. If you're missing other gems like the Ultima series, Crusader, Strike Commander, various Sim City games and more, it's a good time to jump. Check out the listing here. Complete your Electronic Arts collection with a 85% discount or get 60% off each EA game! Hey, know what time it is? That's right, it's time to complete those marvelous EA collections! 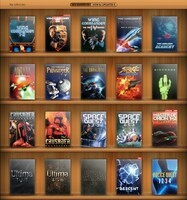 Are you on the hunt for some elusive Electronic Arts classics missing from your GOG.com shelf, perchance? Well go ahead and grab the ones that got away or the whole EA Completionist Pack with a whopping 85% discount! But if you are still among the uninitiated, you can always take advantage of the enticing 60% discount on each game, to get your bEAutiful collection going. 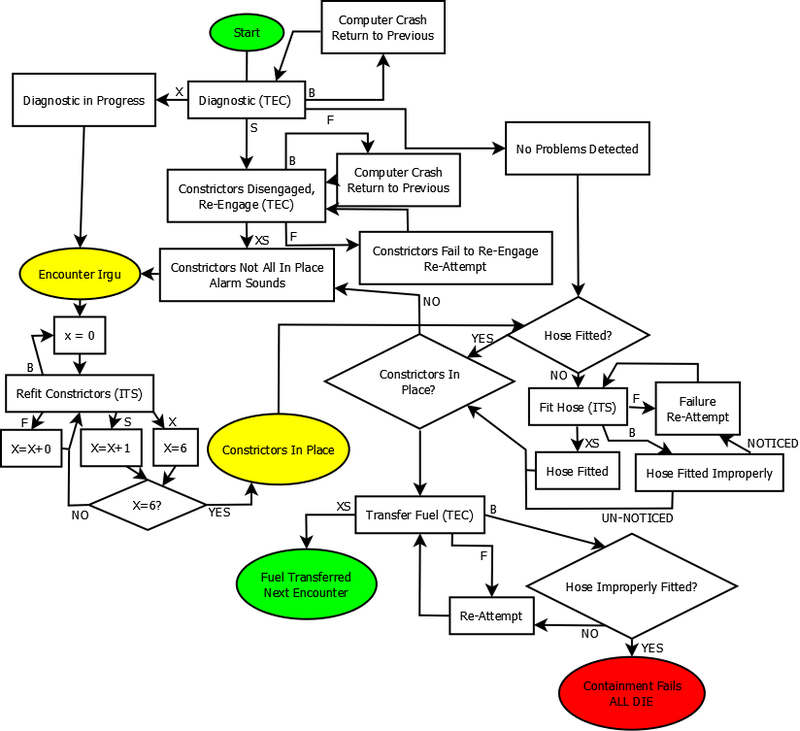 UnnamedCharacter has released a new version of his programming library for interfacing with Wing Commander 1's game data files. This newest beta release (3.3.0) lets you edit ships, hardpoints and flight formations, and there are some general fixes and improvements to existing program features. 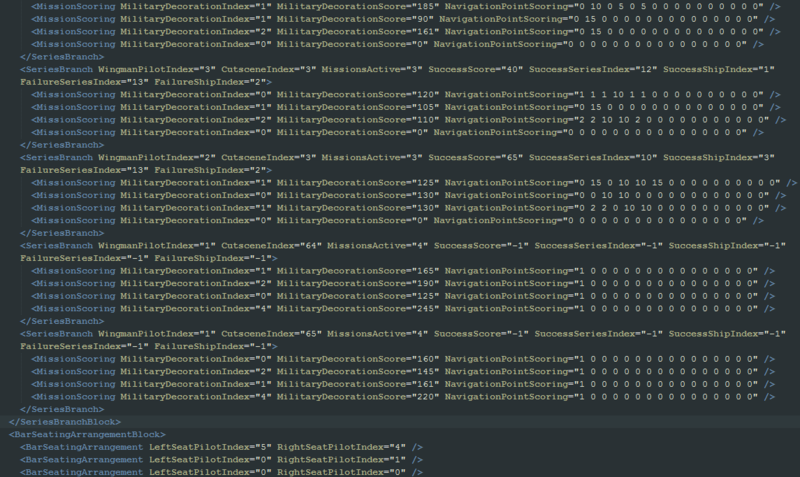 Below you can see an output sample of the XML Unpack command. 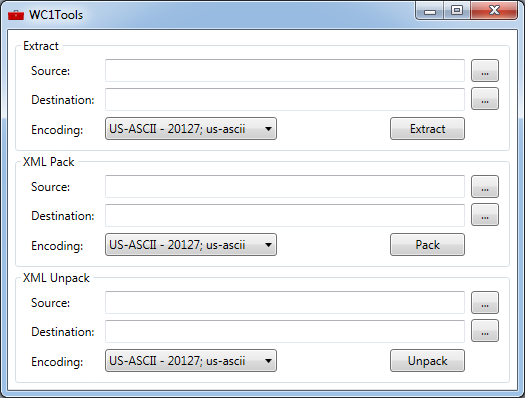 The package includes a command-line client as well as a program with a graphical interface to simplify the extraction/compilation process. 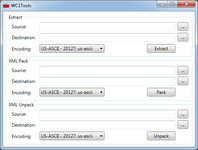 Download the new version here. 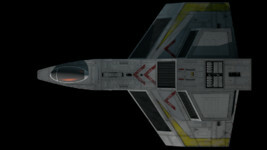 - much, much more effective missiles, as from now on, anti-fighter missiles can reasonably be expected to kill enemy fighters in one or two hits if they connect, and they WILL connect unless you are doing a lot of dodging maneuvers or, for light fighters, you outrun the missile. They will also be largely more reliable as to intercept enemy cruise missiles... if you angle your shots correctly (a deflection shot is much less likely to hit than a rear or frontal shot, like in real life). 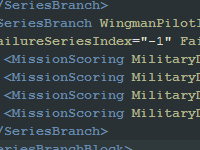 Keep in mind too that as all units tend to fire more at missiles, a frontal encounter between several flights will probably end up with some missiles being shot down before impact. But now, getting the drop on an unaware flight from missile range can be quite devastating. 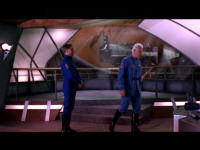 Wing Commander Finally Gets Its Due? Den of Geek recently ran an article on the 50 Underappreciated DOS Games. 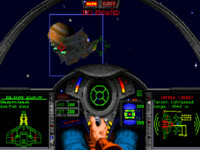 As one of the best selling and highest rated DOS games of all time, we'd probably agree with Space Game Junkie that Wing Commander doesn't really fit on this list. Rather, this instead seem like a missed opportunity to highlight something like Wing Commander Armada or perhaps Privateer 2. Nevertheless, we'll take it as a fun look back at some of the highlights of yesteryear. Check out the full article here. DOS was no stranger to 3D space combat simulators, and while there were some incredible titles to be had, not many gamers seem to recall the original Wing Commander too much these days. 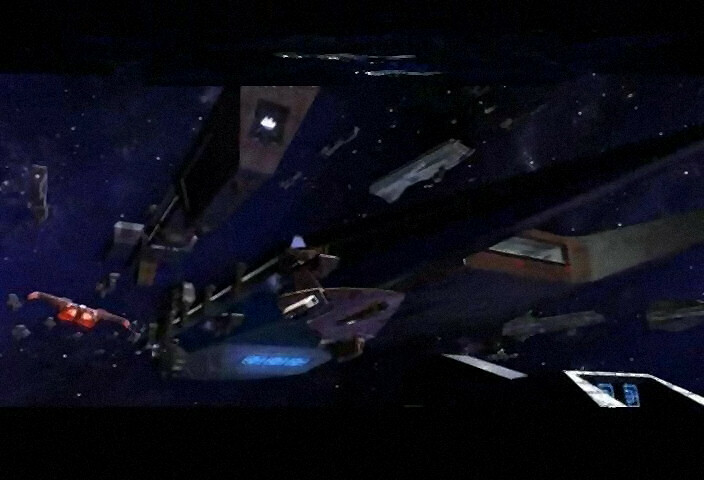 Like some cheesy 80s sci-fi film, the intro credits roll to heroic music, space dogfights, and passing asteroids. Then it’s to the bar on-board the TCS Tiger’s Claw for a spot of chitchat with the crew, including Paladin’s magnificent mustachios. 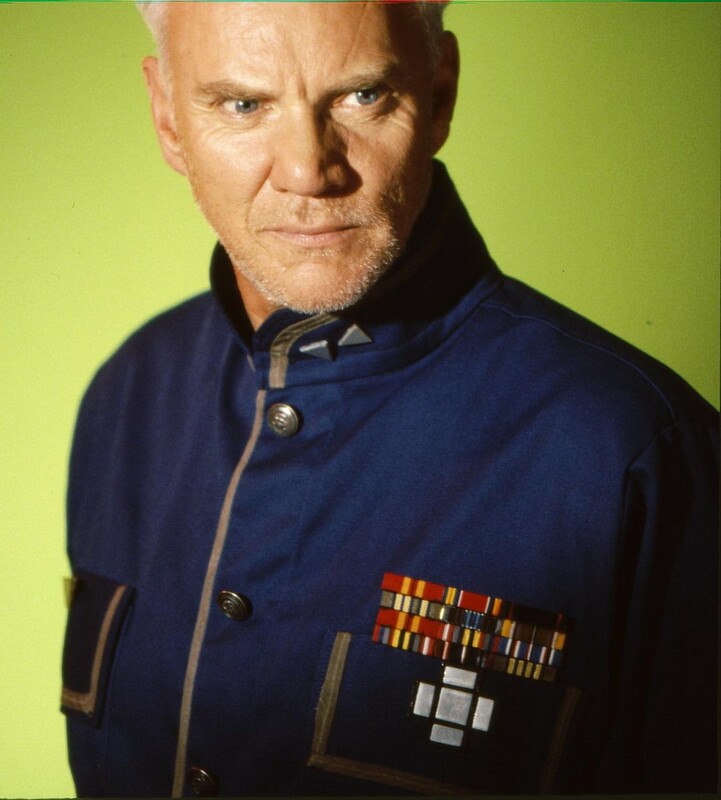 With girly pin-ups in the barracks, blue hair, scenes of the crew running to their ships, and such names as Blue Devil Squadron and the Killer Bees, Wing Commander was a hit from the word go. 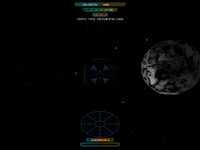 It was a breakthrough game, utilising the current PC hardware to the max. Playing now, it’s amazing how difficult the game actually is. 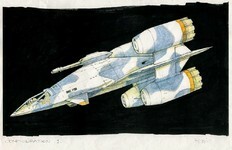 Ron Cobb's Wing Commander Concept Art Found! 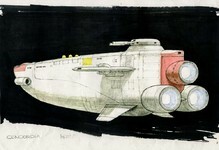 LOAF recently uncovered several pieces of exotic concept art for the Wing Commander Movie! These treasures were drafted by Ron Cobb, who is famous for creating some of the iconic imagery for Star Wars, Alien, The Last Starfighter and more. 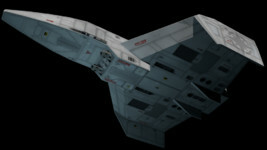 Each is dated 1997 before Chris Roberts and producer Todd Moyer decided to go in a different visual direction, although some of the promotional material such as the 1998 SFX WC magazine still credits him with the "texture" of the film. It's neat to finally see what he envisioned, and some of these ships are pretty wild! The Rapier and Dreadnought are flashy designs while the Diligent actually isn't that different and has kind of an Avenger vibe. "Configuration 1" may have been a different take on the Broadsword. How do you like these compared to what ended up on screen? 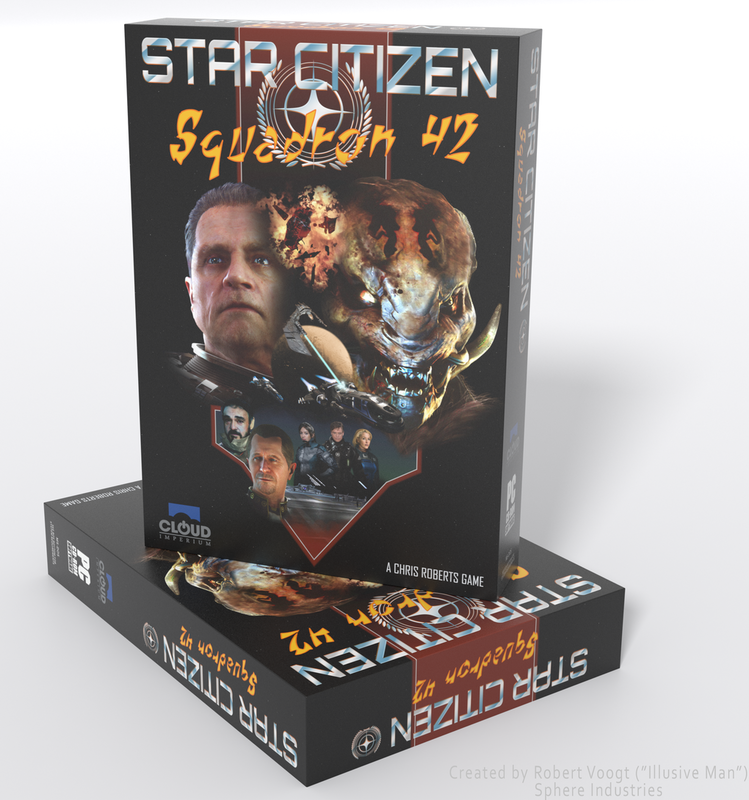 Illusive_Man has mocked up a pretty clever Squadron 42 box based on the classic Wing Commander 3 art. It mirrors the original fonts, backgrounds and all of the arrangement. 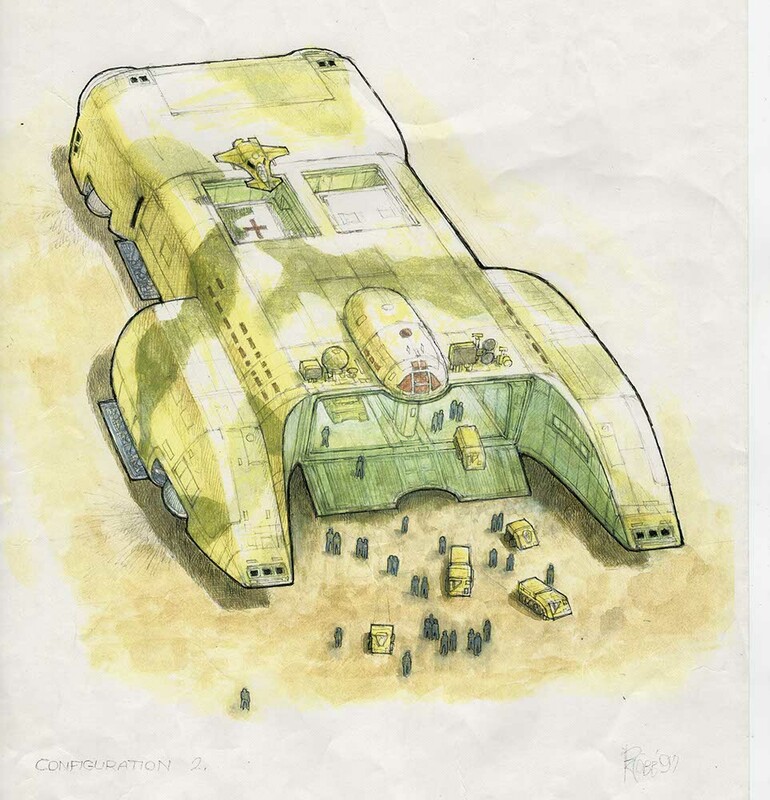 Mark Hamill and John Rhys-Davies' positions are the same, as is the placement of the catlike alien and their exploding ships. 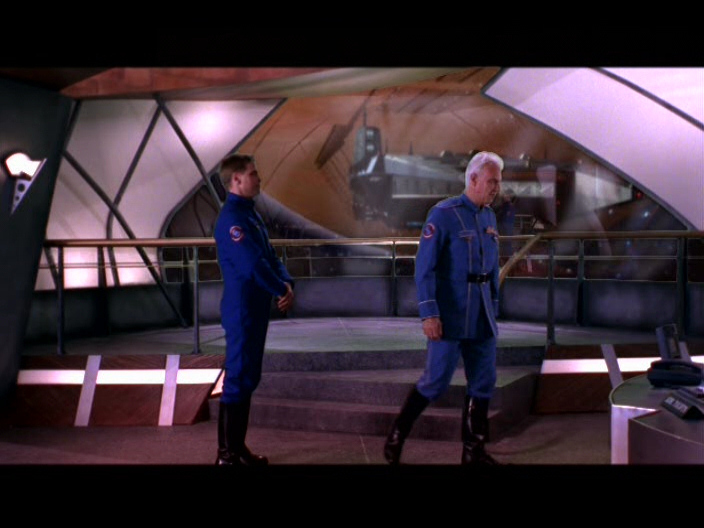 Gillian Anderson appears to be in Flint's spot and Gary Oldman takes the place of Admiral Tolwyn. Good job! 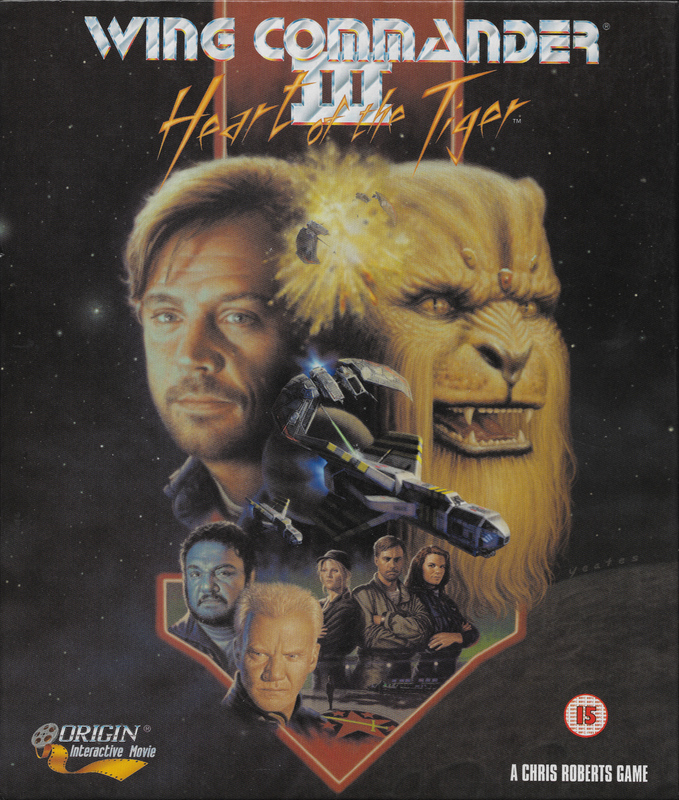 I recently got my copy of Wing Commander 3 "Heart of the Tiger" and thought: wouldn’t it be nice to recreate this cover for Star Citizen "Squadron 42"? I’m really happy with the end result.